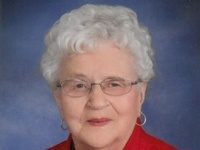 Joanne Shaw, Thief River Falls, MN, age 86, passed away on Thursday May 10, 2018 at her residence in Thief River Falls, MN. A Memorial Service will be held at 3:00 PM on Tuesday, May 15, 2018 at Johnson Funeral Service in Thief River Falls, MN, with Pastor Matt Howe officiating. Visitation will be held one hour prior to the memorial service on Tuesday at the funeral home. 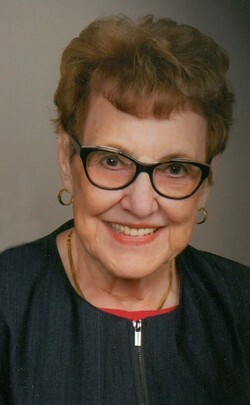 Joanne Deloris Lawson was born March 27 1932 at Hannah, ND, the daughter of Hance O. and Mary (Ellis) Lawson. She attended Hannah Public School at Hannah. On July 22, 1953 Joanne was united in marriage to Kenneth Neil Shaw at Hannah, ND. Joanne taught in a country school in North Dakota for 2 years. She also was a sales associate at JC Penny’s for 35 years. She liked to read, knit and create Hardanger embroidery. 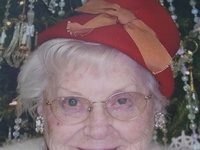 She was a member of the Order of the Eastern Star, Winslow Chapter #182, for over 50 years and served as worthy matron for over 20 years. 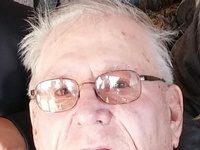 Joanne is survived by her husband Kenneth, Thief River Falls; a daughter Deborah (Richard) Shiflett; a grandson Bryce Shiflett; great-grandchildren April and Hayden; a sister Drina Hansel; nephew, Doug; nieces, Colleen and Stephanie; several great-nephews and great-nieces. She was preceded in death by her parents; grandparents James and Alexandrina Ellis; brothers Hance James Lawson and Kenneth Allen Lawson.